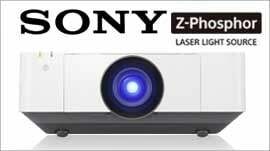 Why Buy Projectors From Projectorpoint? Buying a projector is a significant investment. For many of our customers, the investment is not just about the price of the projector – perhaps you’re counting on the projector to help you win business, or push up classroom engagement and exam results. Whatever your reason for buying a projector, we know how important it is to make the right choice. 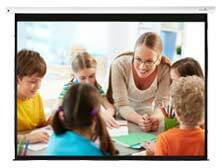 The Projectorpoint experts have helped thousands of people select the perfect projector to suit their requirements. Our team are waiting to help you find yours..
Read what people are saying about Projectorpoint on our customer comments page and Trustpilot reviews. Customer service is our top priority, both before and after a sale. Our staff are thoroughly trained and knowledgeable about projectors, and they’re always on hand to make sure you buy the right projector and receive your equipment in perfect condition. Our recommendations are not governed by how much money we stand to make by selling to you. With Projectorpoint you just receive sound, honest advice and the projector that’s the best fit for your needs. We’re constantly checking our competitors and keeping our prices low. It’s a big job, and our competitors don’t let us know when they drop their prices, so we can’t say we’re always the cheapest. But if you do find a projector cheaper somewhere else, just let us know and we’ll do everything we can to beat the price. At Projectorpoint, we want to make sure every stage of the purchase process is as clear as possible and this includes the price. There are no hidden fees for credit card purchases with us and no hidden costs and unnecessary extras. We make all our costs clear upfront. Our ongoing efforts to improve customer service and access to information have helped Projectorpoint earn official ‘Partner’ status with most of the leading projector manufacturers. This status is not handed out lightly by manufacturers, so it’s something we’re very proud of. The Projectorpoint brand is one of the largest in the UK. We’re part of Dataflow IT Ltd (company registration number 3451101, DUNS number 536456619), a well-established IT solutions provider and hardware supplier with an excellent reputation. With such a financially stable and trustworthy firm behind us, you can feel confident we’ll still be around to support you should your projector have a problem a few years from now. If you buy from us, you can rest assured that you're making a payment to a bona fide company and that you'll receive the goods you ordered. Many of today’s internet based audiovisual dealers are run by people working from home, with no employees or infrastructure. While these suppliers will normally provide you with the same products as we do, you won’t receive prompt support if your projector breaks down if the supplier is away from the office or has taken a holiday. With Projectorpoint, you’re assured of prompt, reliable service, all year round. If you have any questions about Projectorpoint or Dataflow IT Ltd, or if you’d like to find out more about the services we offer, please give us a call on 0808 278 7510 or send us an email and we’ll get back to you. If for any reason you have a complaint about us, please don't keep it to yourself - contact Babar Syed - [email protected] and we'll address your concerns promptly.